Throughout the Second World War, U-boats played a critical role in Germany’s warfare strategy. This was especially so during the Battle of the Atlantic, which lasted the whole length of the war. One of the reasons that Germany depended so much on submarines was that, as a result of the Treaty of Versailles, the number of marine craft they could have was limited. Restrictions put in place after the First World War prevented them from building up a strong navy. Under the terms of the treaty they were only allowed to have six battleships of no more than 10,000 tons each, six cruisers and 12 destroyers. As U-boats were not specifically mentioned in the treaty, these became Germany’s way of gaining some advantage at sea. The U-boats generally carried deck a gun in addition to its torpedoes. The gun could be used while on the surface, but it was the torpedo that was most associated with submarine warfare, and the main reason they were so feared by the enemies of Nazi Germany. Even Winston Churchill himself once admitted that the German U-boat was the only thing that he feared. The U-boats were very successful in their mission to disrupt the Allied shipping operations including disruption food supplies. Out of almost 3000 ships sunk by the U-boats, 2,845 were merchant ships. Less than 200 were battleships. The U-530 was one of the last of the German U-boats to surrender at the end of the Second World War. The U-530 was a Type IXC/40 submarine, and it was an improvement on the smaller models that had been used previously. The submarine had six torpedo tubes and carried 22 torpedoes. It also had an SK C/32 naval gun with 180 rounds of ammunition and an anti-aircraft gun. The vessel was handled by a crew of 48. An unusual feature of the U-530 was that it had FuMO 61 Hohentwiel U Radar Transmitter. The U-530 began training with the 4th U-boat flotilla before joining first the 10th flotilla and later the 33rd Flotilla. It was active through several war patrols, where it sank two ships and seriously damaged another. The crew surrendered in July of 1945. At the end of the war, U-530 was directed to surrender by Admiral Karl Donitz, who was now in charge following the death of Hitler. The crew defied the order, and they made their way towards Argentina where they surrendered the 10th July at Mar del Plata. It is still not known why the captain took this course of action. Several unsolved mysteries surround the final journey and surrender of the submarine. The journey to Argentina took two months longer than would be expected and when the U 530 finally reached its destination not only did the crew carry no identification but the submarine’s log had disappeared, and the deck gun had been jettisoned. This inevitably sparked rumors, including a suggestion that the U-530 had made a clandestine detour to take Hitler and Eva Braun to a secret location. It was also accused of sinking a Brazilian cruiser (as was the U-977 which would arrive in Argentina a month later). The sinking was later found to be due to a gunnery accident on the cruiser. On surrendering, the crew of the U-530 was interned before being repatriated, and the U-boat was later sunk by a torpedo from an American Submarine during target training practice. U-977 Left to rust in dock after surrendering. 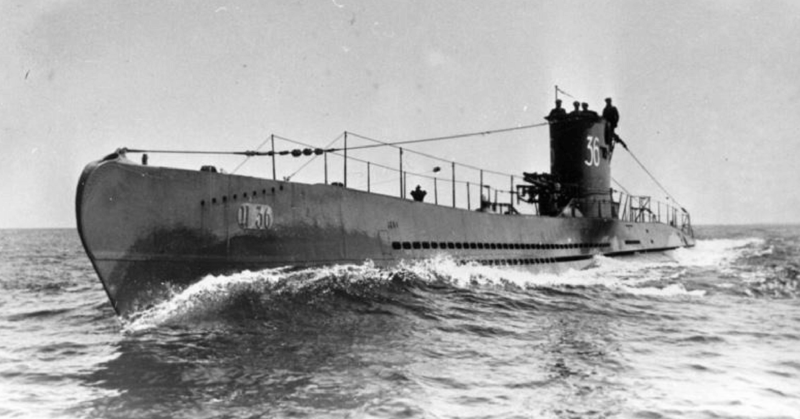 The U-530 was one of the last U-boats to surrender, but it wasn’t the very last. That dubious honor goes to U-977. This was Type V11C U-boat. It had a displacement of 769 tons. With five torpedo tubes and 14 torpedoes the U-977 was less powerful than the U-530. It also carried a naval gun and 220 rounds of fire. U-977’s first voyage was a dangerous assignment traveling from Norway to Bristol through waters that were strongly defended by the Allies. When the end of the war was in sight, the captain of U-977 decided to head to Argentina, on August 17th, 1945. This action may have been prompted by rumors that German soldiers would meet a terrible fate at the hands of the Allied victors. Some of the crew were married and were given the option of leaving the boat. Sixteen of the crew disembarked at Bergen while the rest continued south. It was later claimed by the submarine’s Captain that the U-boat had traveled underwater for 66 days during that voyage. After 99 days at sea, the vessel arrived at Mar del Plata on the Argentinian coast where they surrendered to the Argentinian Authorities. 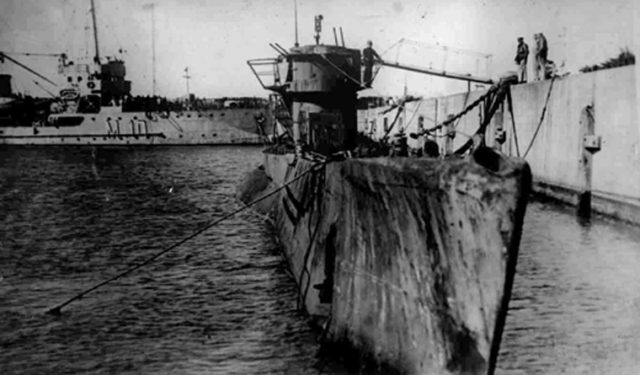 Like U-530 they were also accused of being involved in the sinking of the Bahia, but once this was disproven the crew were released and returned home to Germany. However, the testimony of the crew – who were interrogated on disembarking – does support the story that the submarine had traveled for 66 days underwater. It appears that they stopped briefly in Cape Verde and had to continue the journey with only one engine. As with the U-530, rumors about this submarine’s last journey circulated including suggestions that it had taken Nazi Leaders, including Hitler himself, and a cargo of looted gold to South America. The US Navy compiled a report less than a month after the submarine landed on the Argentine coast. The report makes no mention of a 66-day journey underwater. The information in the report is sparse and may not be very reliable due mistranslation and the skill of the interrogators. The submarine itself met a similar fate to U-530. It was sunk after being seized by the US Navy and used as a target practice for training submarine crews.